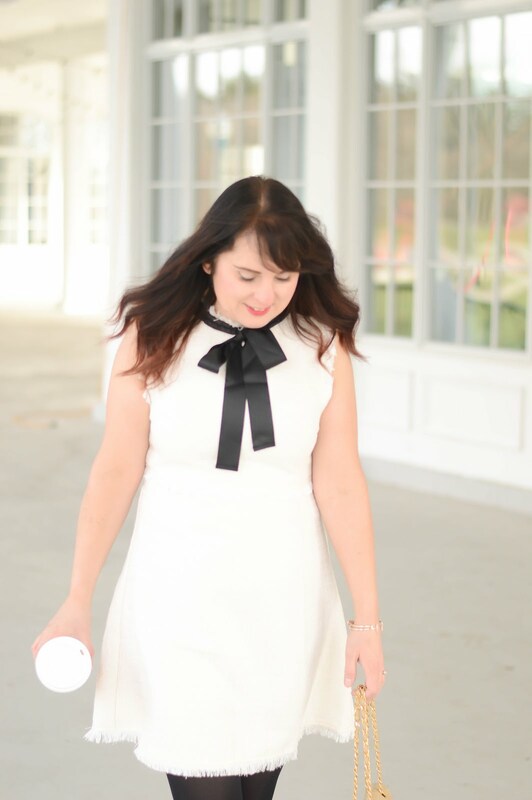 Getting Organized with Expo-and a Great Teacher Gift DIY! SO it's my first DIY today. This DIY is the perfect teacher gift, or a simple gorgeous tool to help you with your household organization. One of the most popular items I use as a teacher at home and in my classroom is a white board. Yep, a white board , and to go hand in hand with the whiteboard is a great dry erase marker. I have honestly tried every dry erase marker on the market and I have yet to find one that can top my love of Expo dry erase markers. The Expo dry erase markers with ink indicator have vivid concentrated colours, a chiseled tip for defined writing, and a low odour. These markers do not 'dry' out as quickly as the other brands, and I use them at school as well as at home on a daily basis. So my friends at Expo have stepped up the dry erase marker game yet again by adding a handy ink indicator tool at the end of each marker. The transparent end allows you to see how much ink is left, you can literally see the ink swishing around (the kids at school LOVE it!). So why do you need to know how much ink is left?, because you want to always have gorgeous vivid colour on your whiteboard. When your dry erase marker is getting very low on ink the marker will, quite simply, look faded and illegible (trust me, this happens to me on a daily basis). Being able to see how much ink is left in your Expo dry erase marker with ink indicator really helps me to avoid those,"I need a new marker moments" in the classroom. Now onto today! 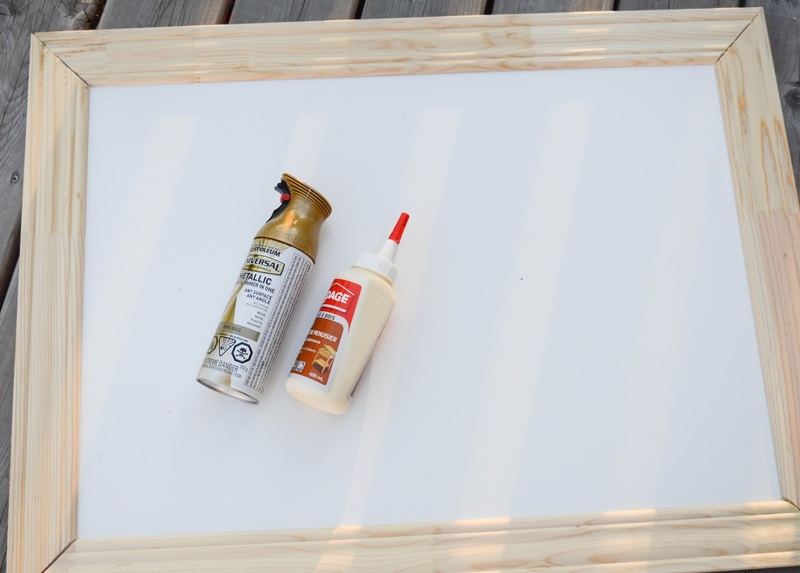 I am sharing how to create this gorgeous gold framed white board that you can use at home. You can get your own #teacherwin at home. Cut the baseboard wood using a mitre saw at the length you desire to make the frame for your white board. 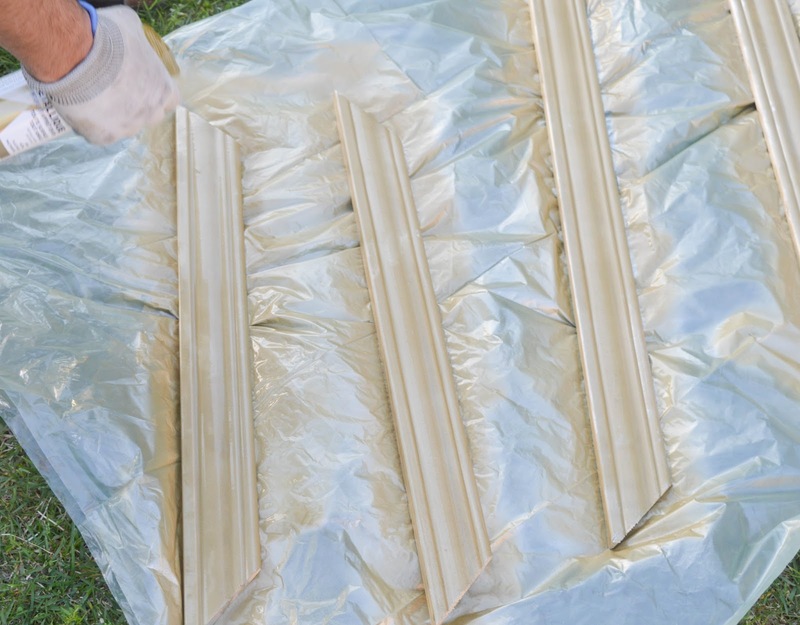 Spray paint the four pieces gold (or any other colour you like). 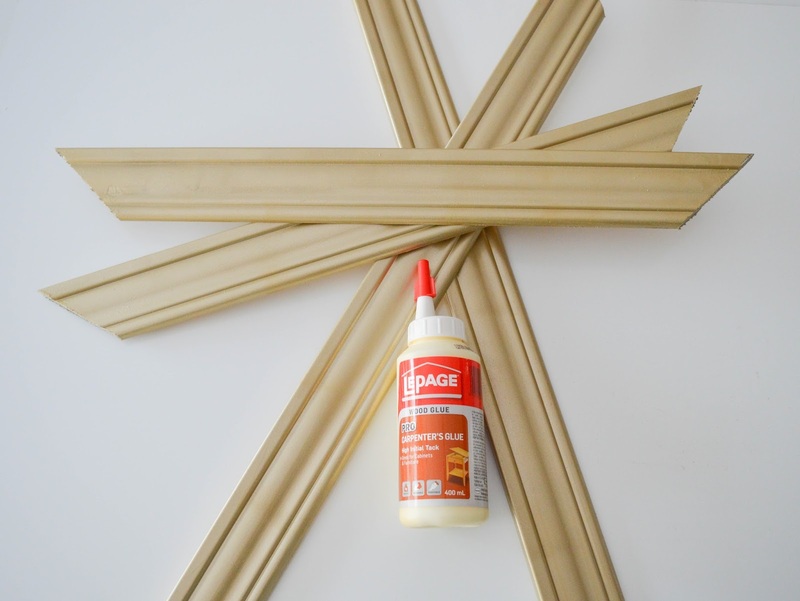 Use wood glue to glue the frame pieces on to the white board panel. You can clamp the pieces down to hold the frame in place. 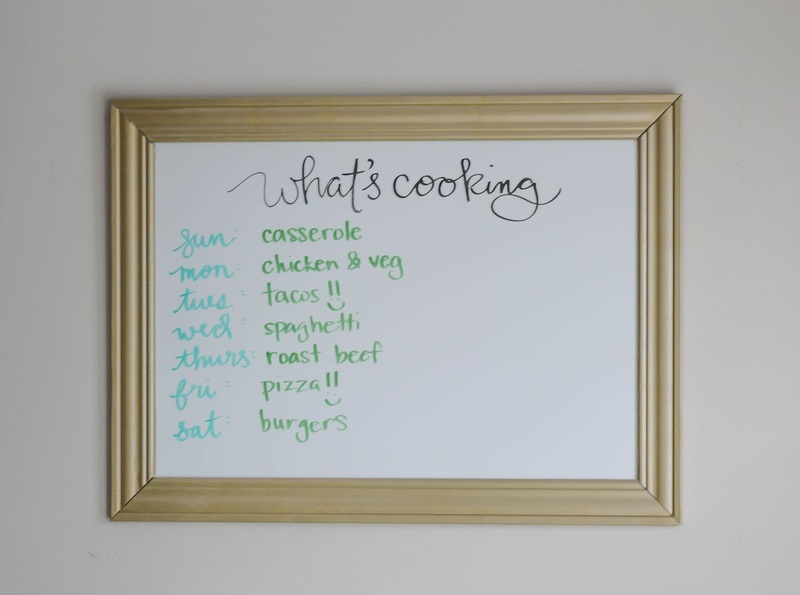 After the frame has dried, wipe off any excess dust from the white board and then begin to create your new white board! I love the idea of a menu board. 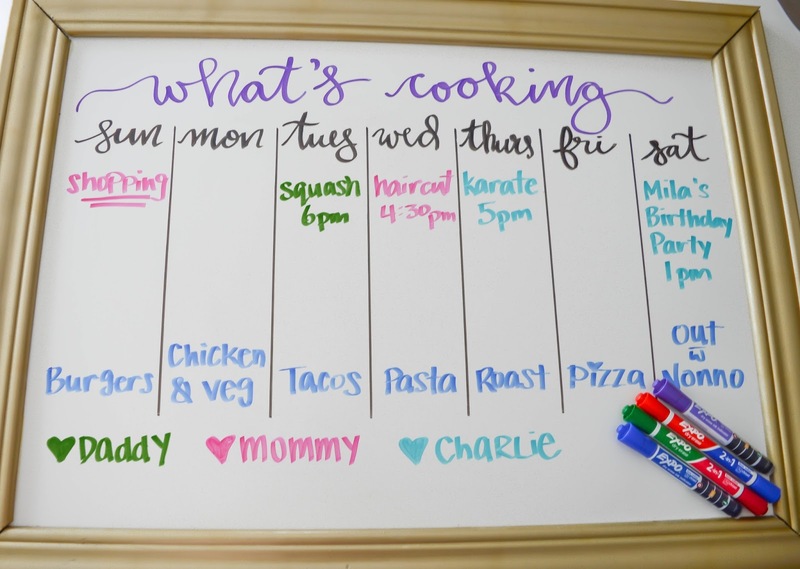 Using the Expo dry erase markers with ink indicator , I made a simple What's Cooking title and then added the days of the week. This board can be hung on a wall (like I did), or it can lean against a wall for easier access if you want your kids to use it too. 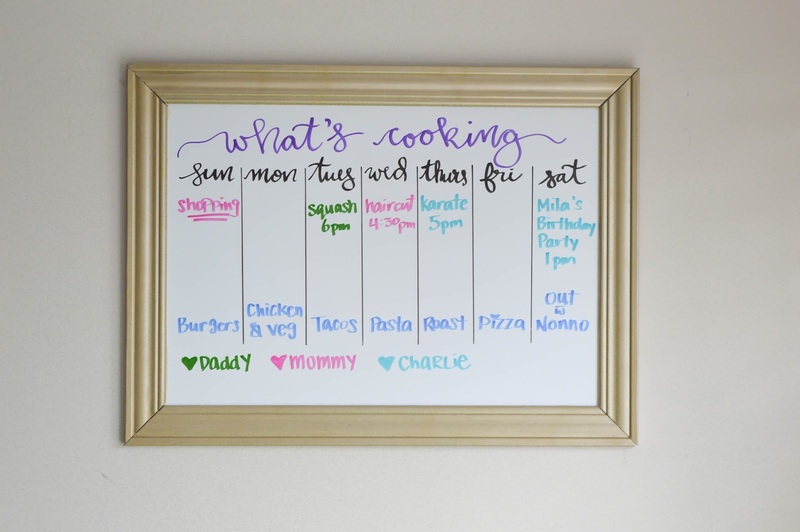 A fun memo, calendar board is another great way to use this white board. Using the Expo dry erase markers with ink indicator each person in my family has their own colour so it's easy to see who is doing what on which day. 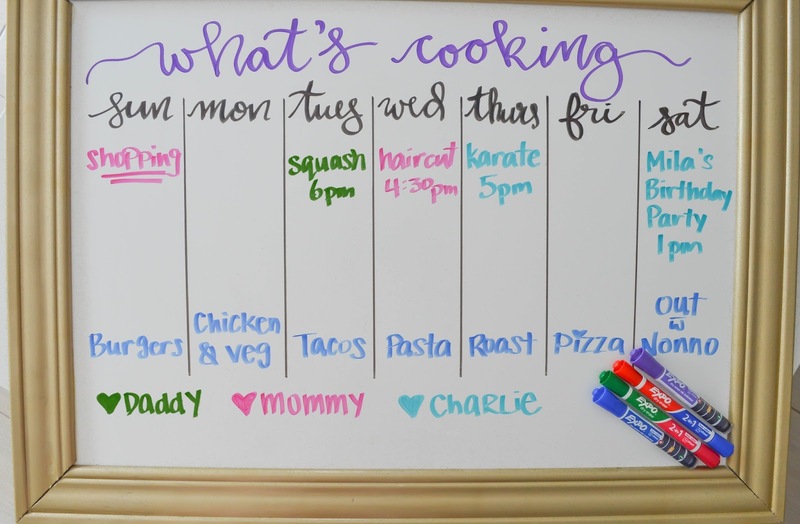 Colour coding with the Expo dry erase markers with ink indicator is the easiest way to organize information on this "what's cooking" board. It seems that my son Charlie is the busiest person in the house. Again, the Expo dry erase markers with ink indicator have been literally my fave new organizational writing tool. How cute would a homemade whiteboard with some markers be for that fave teacher in your child's life. I would LOVE to get a gift like this, and trust me as a teacher we appreciate the extra care and thought. 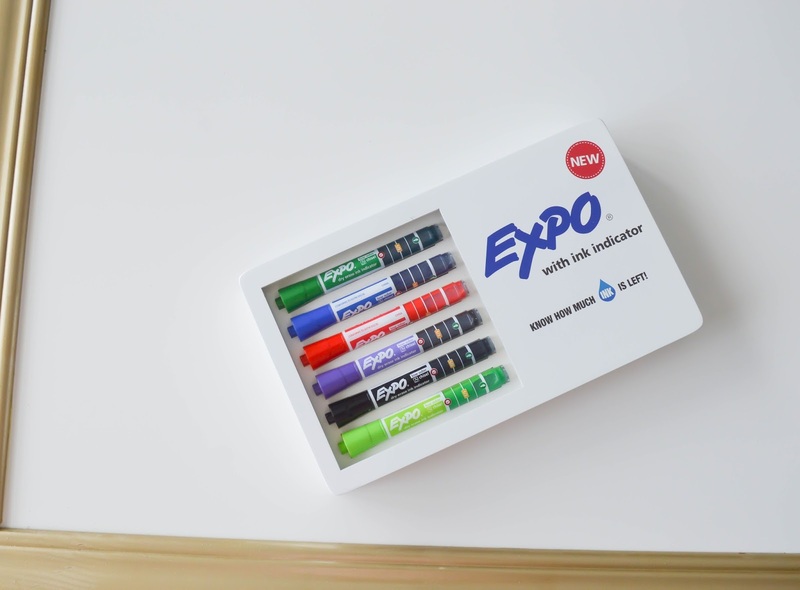 If you want more great Expo marker ideas you can head to my Pinterest board all about Expo dry erase markers with ink idicator here.